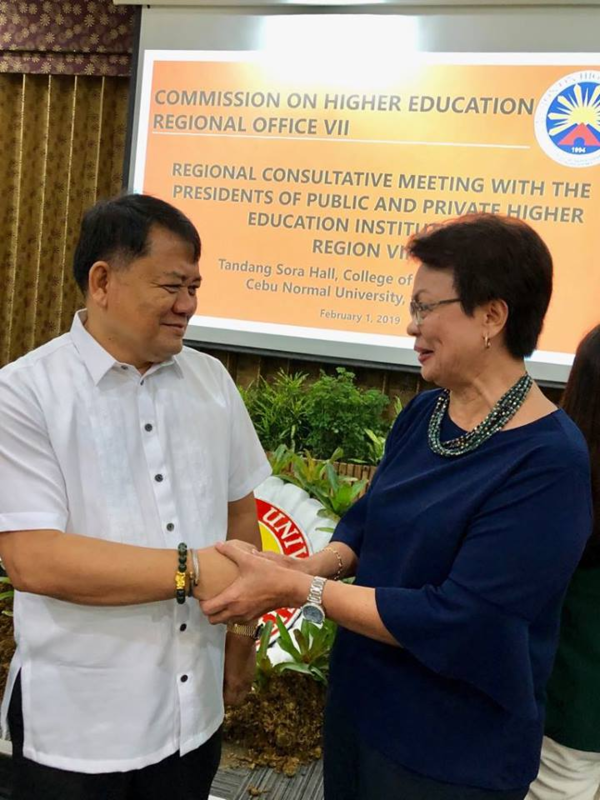 SU President Betty C. McCann meets Dr. Maximo C. Aljibe, CHEDRO VII director, at the CHEDRO VII Regional Consultative Conference, Feb. 1 at Cebu Normal University. 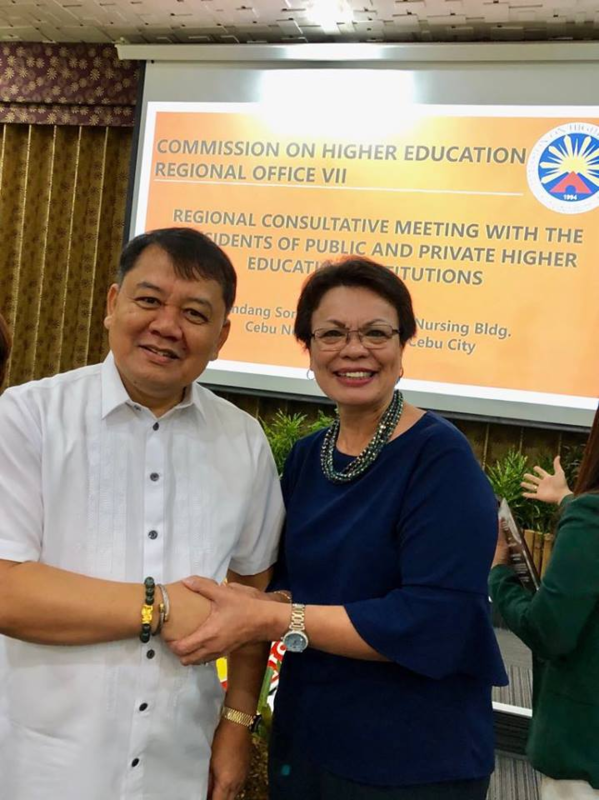 Dr. Betty-Cernol McCann, Silliman University president, attended a Regional Consultative Conference convened by the Commission on Higher Education Regional Office (CHEDRO) VII at Cebu Normal University in Cebu City Feb. 1. The conference was also attended by the heads of other public and private higher education institutions (HEIs) in the region. Newly appointed Director IV of CHEDRO VII, Dr. Maximo C. Aljibe, presided over the conference. 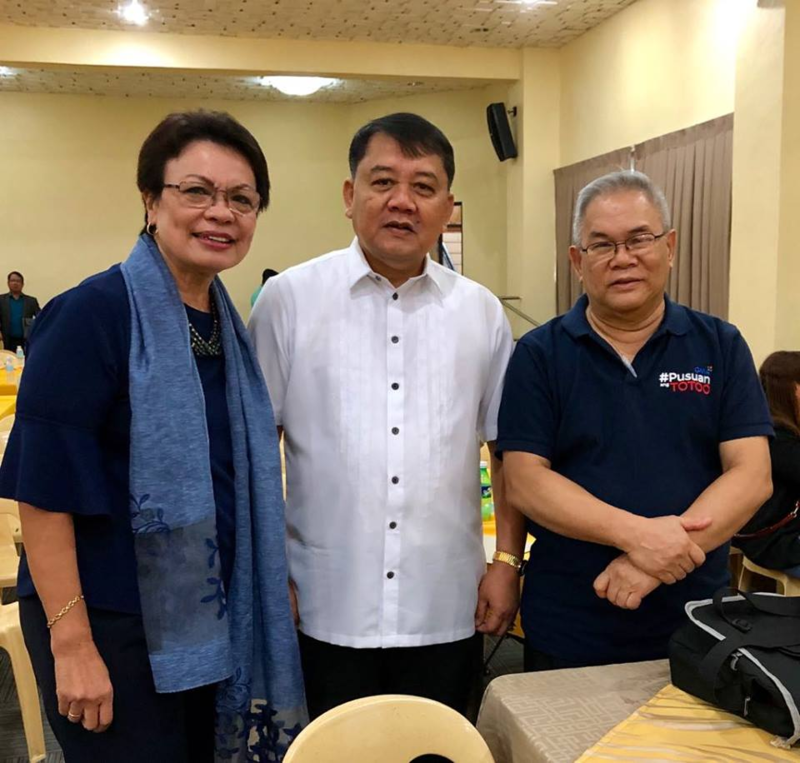 The HEI heads present discussed concerns regarding school status, school compliance, and other related matters such as programs, activites, and projects for 2019. 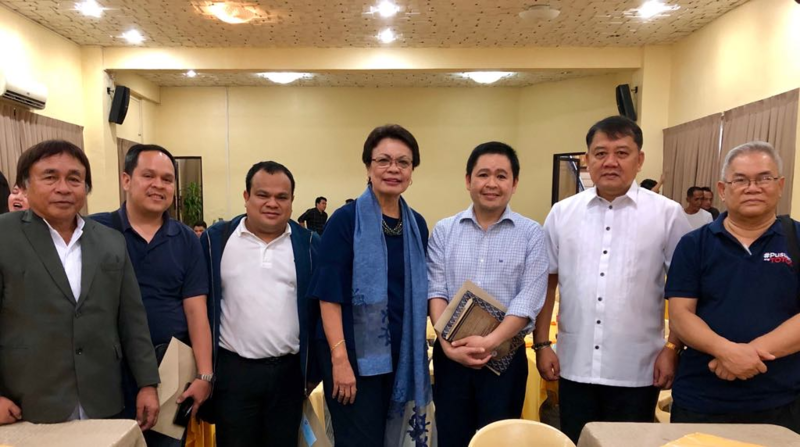 Dr. McCann with CHED Chief Education Program Specialist Pedro C. Fudolig (leftmost), Dr. Aljibe (second from the right), and other heads of higher education institutions in Cebu and Bohol. Dr. McCann with Dr. Aljibe (middle) and Rev. Fr. Dionisio M. Miranda, president of the University of San Carlos (right).